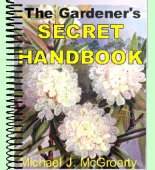 Grows 6 inches to 12 inches high, and frequently grows in bunches with succulent leaves. Roots are blood-red colored when broken. Bloodroot's flowers are white and bloom between March-May, bloodroot prefers rich moist woods from Canada to Florida, west to Texas. 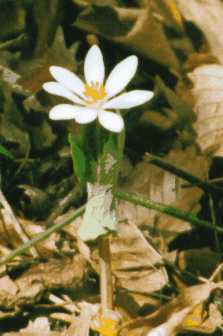 Bloodroot is used in medicine mainly externally and in some commercial toothpaste and mouth wash products. Bloodroot likes from 100% to 60% shade doing best with about 70% shade. Plant 2 inches deep and mulch lightly, has pretty foliage when not in bloom.